PPC Town delivers superb quality marketing campaigns for our franchisees and franchisors. In this market, you need to have the right tools to compete, otherwise you’re just another franchise. We give our franchisees and franchisors a measurable advantage over the competition. PPC Town understands that most users start on the Internet to find local businesses, and most of them start with their mobile phone and search engines to find the local stores. Our campaigns are built to support the franchisees plus franchisors adapting to meet the needs of the local communities served, while ensuring consistent messaging for the brand. Franchisees will get the support they need and the franchisors get a comprehensive digital marketing strategy, tailored by PPC Town’s finest, that is measurable and that scales. How Does PPC Town Help Accelerate Growth? Through proper use of tools and perfected strategies, PPC Town has established many avenues to successfully handle the complexities of promoting not only personalized growth for the business of the franchisee, but for the franchisor as well. You’ve heard the saying before, “The truth is in the data!” It is one of the essential ingredients of our franchise marketing plans. 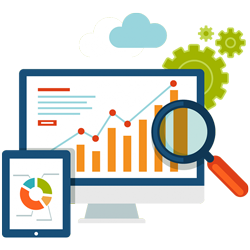 Through the use of PPC, or Pay Per Click, we are able to analyze statistics from local, regional and corporate levels to pinpoint where your marketing strategies need improvement. By combining our analysis and the specific needs of your corporation, we can then develop a precise franchise marketing plan that ensures brand consistency as well as produce a measurable amount of leads for the franchisee. There are several methods the team at PPC Town utilizes to generate local leads for franchise businesses. Pay per click, SEO management, digital advertising, social media and focused page content are just a few of the mentionable avenues we choose to promote your brand. By focusing these services and incorporating localized content such as reviews, directions, maps, etc., developing your search engine visibility and generating leads is only the beginning of what is left to come. There is nothing more unique than your corporation and the team at PPC Town is as enthusiastic as you are about making your brand the staple for your field of business. With many years of valuable knowledge and experience, PPC Town’s custom created franchise marketing campaigns have shown measurable data by combining the variety of services that have been expressed by the needs of the organization. Through these campaigns, we give all of our clients the opportunity to enhance online visibility, provide a targeted customer experience, and still maintain a balance between local and national marketing. Contact us today to discuss our franchise marketing programs and how we can begin approaching the demands of local and national level marketing for your business.